As the cold January wind continues to blow snow around, spring seems like a long time away. We have definitely had our share of cold, snow and wind this winter. Earlier this week when the wind chill warning was extended, a radio DJ joked that it was in effect through April. So what do we do while we are waiting for spring? My thought was to do some reading and plan for a new addition to my garden. I have always liked to plant flowers, bushes and trees in my yard. I love to sit outside in the morning with a cup of coffee and see the yard change through the seasons. In the past, I have only attempted to grow a few things for eating. I usually stick a couple of tomato plants in each year and I also put a few herbs in planters on the deck. 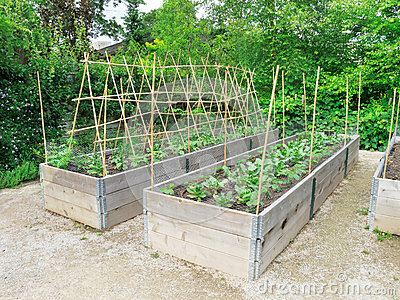 Now that my kids are grown, I have a little more time so I am ready to try a vegetable garden. Most of my yard is on a slope so I need ideas to grow things in small spaces. It didn’t take me long to find just what I was looking for at the library. My first find was All New Square Foot Gardening: Grow More in Less Space! by Mel Bartholomew. He has also published a 2nd edition that I placed on hold from another library in our system. Both of these books show how to create raised garden beds and how to extend your space with vertical gardening. I continued to search for additional books on vertical gardening and found a variety of great books. I am still looking forward to warmer weather but now I have something to keep me busy until then. Is there a new hobby that you would like more information on? If so, don’t forget to stop at the library to find just the right book to help you get started.